Our summer service schedule starts on Sunday, June 17. 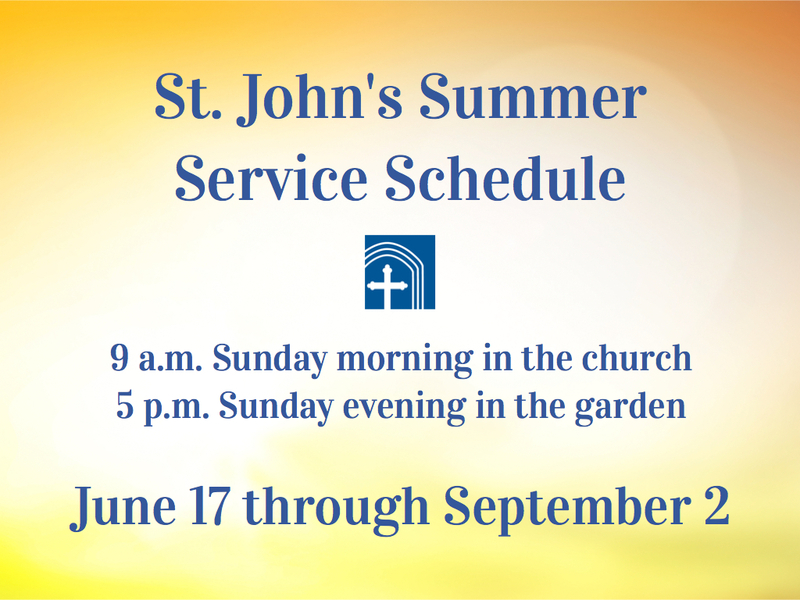 Join us at 9 a.m. for Holy Eucharist in the church, or at 5 p.m. for a more informal service of Holy Eucharist in the garden (weather permitting – service will move indoors if needed). This schedule will go through Labor Day weekend, with our regular service schedule resuming on Sunday, September 9.